John Oliver and Lena Headey are set to join the previously reported BBC/Netflix revival of Danger Mouse. Oliver will voice mad scientist/wolf Dr. Augustus P. Crumhorn III, while Headey will voice U.S. Secret Agent Jeopardy Mouse. Oliver and Headey both grew up watching the series in the ‘80s, like the good Brits they are. “I’ve loved Danger Mouse my whole life. Danger Mouse was a significant part of my childhood. So to get a chance to do it is like getting a chance to step into your childhood, which is both a magical and a potentially hazardous thing,” Oliver says. “I wanted to do it because it was pure nostalgia for me. I have children now, and it’s just a treat to be involved in something that you loved as a kid and be able to share it,” Headey adds. 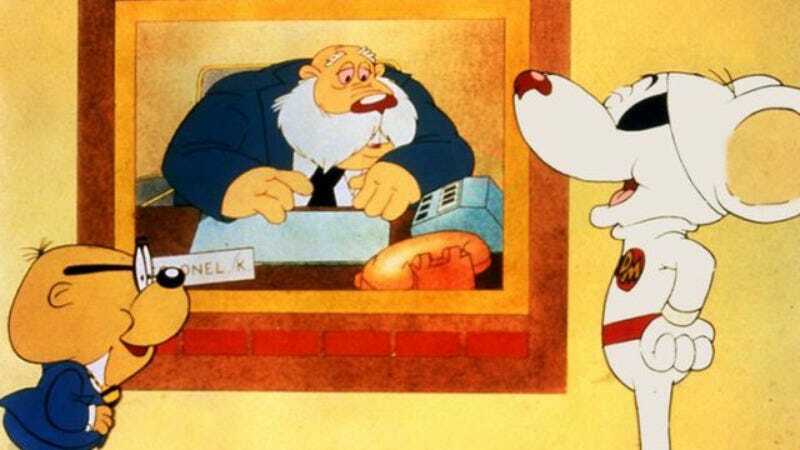 Stephen Fry will voice Colonel K, and comedian Alexander Armstrong is set to voice the eponymous mouse, who will receive some 21st-century updates in the revival, including replacing his signature eye patch with an ”i-patch.” Kevin Eldon will voice Danger Mouse’s loyal sidekick Penfold. The adventures in rodent espionage will air on the BBC’s kids’ channel CBBC this fall before arriving on Netflix next spring.